If you are looking for a name you can trust in home services, then you have come to the right place. V.I.P. can now take care of your fencing requirements. 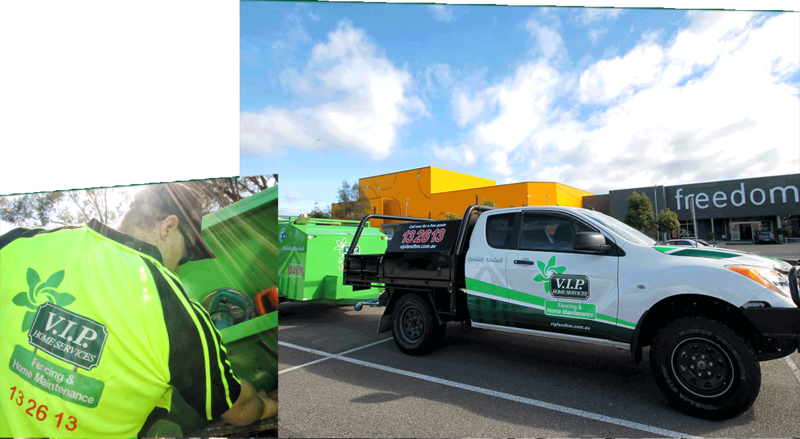 We give you first class customer service and carry out work to our exceptionally high V.I.P. standards. V.I.P. Home Services – Home Maintenance can take care of those home maintenance chores required around the house. While giving you first class customer service you can sit back, relax and give yourself some ‘you' time. After all, we all deserve to be the V.I.P. sometimes! Want to go into business "for yourself not by yourself"? Want to be backed by a top quality brand that has been in the home services industry since 1979? Then learn more about the unique opportunity V.I.P. 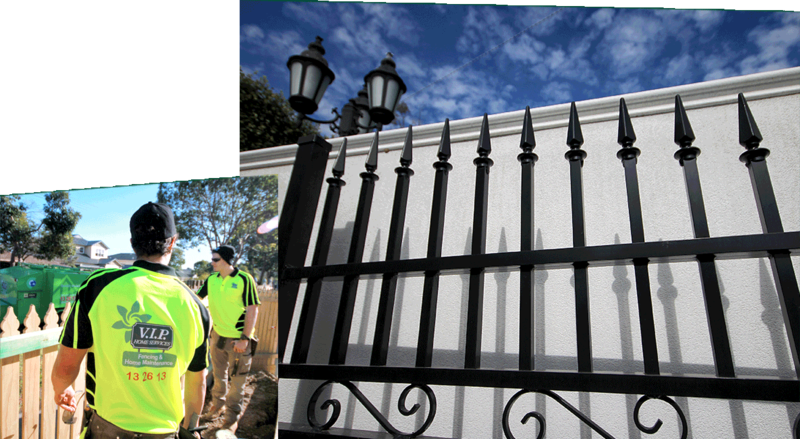 Home Services – Fencing and Home Maintenance team can offer you. 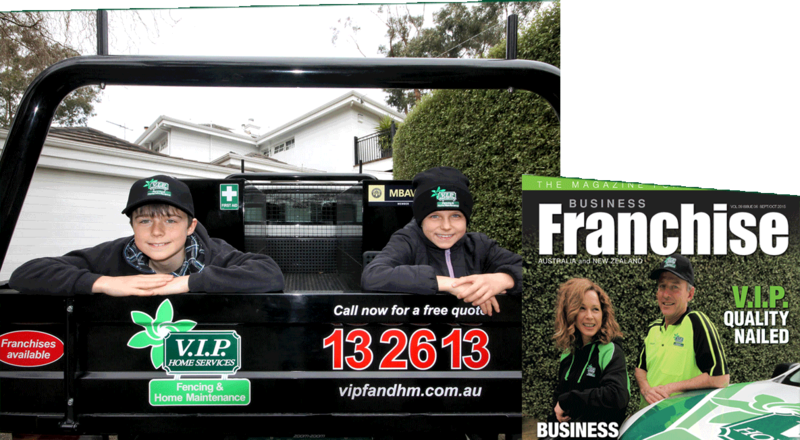 We have limited master franchise opportunities available Australia wide for V.I.P. 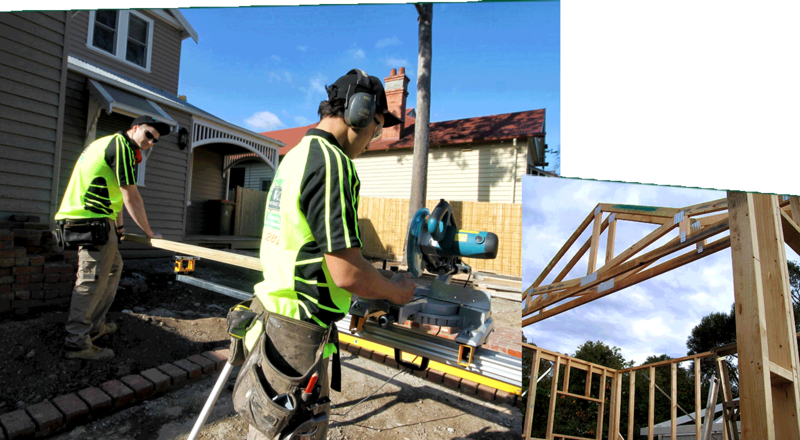 Home Services – Fencing and Home Maintenance. If you are looking for a bigger business, then this ground floor opportunity may be right for you. Backed by a solid V.I.P. support network and experienced team contact us. Matt gave; professional service, competitive price and good materials! If you get a bunch of quotes and VIP is one of them, just hire VIP. He responds to questions straight away. He's honest and works with you with quality materials. The best thing is I can compare to the guys that did my other fence and he is miles ahead. The 2 days he did the job were rain days from hell and he just worked through it with a final product better than anyone in the area. Sid was a pleasure to deal with. Great job done! Great job done by Chris and team. Very professional. Recommended to anyone looking for a quality job. "Easy to deal with, fantastic workmanship. Highly recommend"
Thanks, so much Harley for the wonderful job you did on building our more than standard fence in trying conditions. Your attention to detail was amazing and it is very clear that your carpentry skills set you apart from most, if not all other fencers. The site was left clean and tidy which rounded off a great all-round trade work experience!